Speculation that a bootrom exploit may have been found began after p0sixninja tweeted that he would be releasing something bigger than a jailbreak. 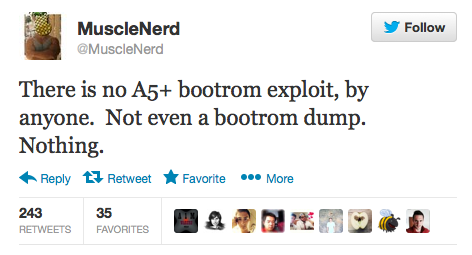 The bootrom exploit can devices permanently vulnerable to a tethered jailbreak regardless of iOS version. The last bootrom exploit was limera1n found by Geohot which supported A4 devices like iPhone 4 and below. 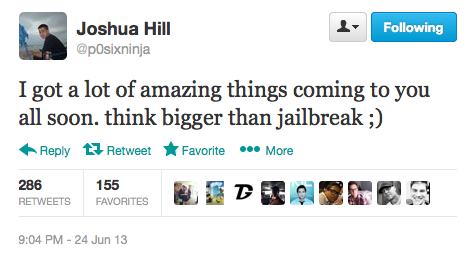 Hacker p0sixninja plans to release "Something Bigger Than a Jailbreak"
Well known iPhone hacker p0sixninja has teased the upcoming release of some 'amazing things' on Twitter that are bigger than a jailbreak. In March, p0sixninja revealed that he had found the exploits necessary to release a new jailbreak; however, as expected, he decided to hold those back for iOS 7 or iOS 7.1. Famous hacker George Hotz (aka Geohot) was arrested and charged with felony marijuana possession while en route to SXSW conference. Hotz was on his way to give a talk at SXSW, when he had to pass through a border patrol checkpoint in Sierra Blanca. According to a source familiar with the case, Department of Homeland Security officers brought drug dogs to each car. When the dogs barked, Hotz (and his passengers) were pulled over for more searching. Pod2g has recently announced that Planetbeing, MuscleNerd, and P0sixninja have joined his effort to release an iOS 5.0.1 untethered jailbreak for the iPhone 4S and iPad 2. That means that we now have a dream team to create a public release of the A5 jailbreak. Geohot is famous iPhone and Sony Playstation hacker, the creator of blackra1n and limerain jailbreak methods, as well as blacksn0w unlock. Now he works at Facebook. Joshua Hill (P0sixninja) recently mentioned this fact in an interview. This means that we should not expect any new iPhone jailbreak and unlock utils from him. 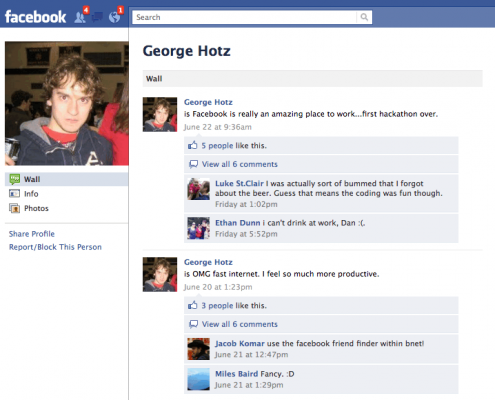 Sony has won a lawsuit against iPhone Jailbreaker George Hotz (better-known as Geohot) . The court agreed with Sony's sentiment and after consideration of the record and the arguments found that a temporary restraining order would be appropriate and should be applied to hacker. Though, Geohot didn’t find himself guilty. Last week we reported that the well-known hacker Geohot might call his next jailbreak tool rubyra1n. Now guts from Dev Team hit that they know something about Geohot’s effort to bring a proper untethered jailbreak to iOS 4.2.1. 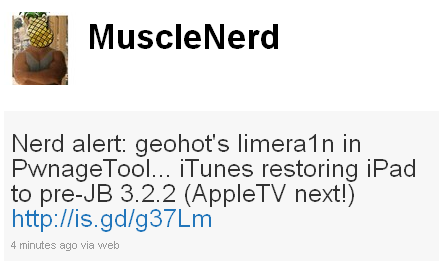 A recent tweet from MuscleNerd confirms the rumors: "I hear geohot does have an untether actually! Though not for all devices". Is Rubyra1n Geohot’s Next Jailbreak Tool? 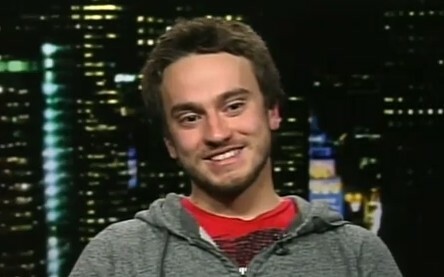 May be soon we will jailbreak our devices with a new tool from George Hotz (better known as Geohot) called Rubyra1n. On March 27, 2010 George Hotz registered two domains limera1n.com and blackra1n.com, another jailbreak tool Hotz released last year. 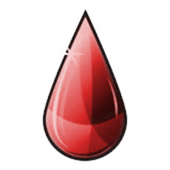 The new rubyra1n, however, doesn’t share the same data with limera1n.com — an app released in October to jailbreak iOS 4.1. 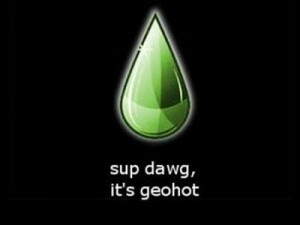 Geohot doesn’t comment these rumors anyhow, but we, obviously, wouldn’t be surprised at all to see him coming out with his own iOS 4.2.1 jailbreak for all devices. Limera1n was the first jailbreak utility to support iOS 4.1. It also works with iOS 4.0, iOS 4.0.1 and iOS 4.0.2. 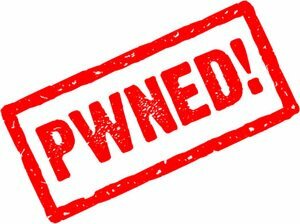 Remember if you need an unlock do not upgrade to iOS 4.1, just wait for the next PwnageTool release. Today the Chronic Dev-Team released their jailbreak utility called Greenpois0n. There are currently two versions - for Windows and for Linux users. 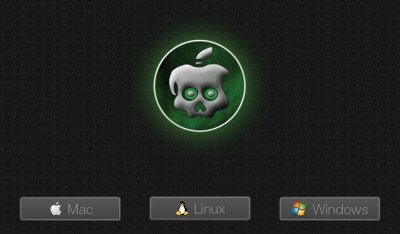 The team is working on a Mac version, so it will be released soon. 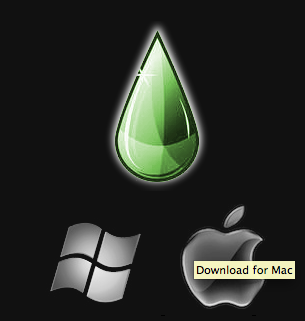 Greenpois0n supports only firmware iOS 4.1, so use Limera1n if you want to jailbreak iOS 4.0, iOS 4.0.1 or iOS 4.0.2.